I’m supposed to be submitting my thesis in about 3 weeks time, so obviously I’m getting distracted by anything that means I can avoid that nightmare. Which is why I spent about an hour this morning making this nice flowchart. Putting complex things into pictures makes them easier for me to understand, so making this graphic was just a way for me to make sure that I actually do understand what I’m supposed to be doing. If you see anything fundamentally flawed with this process, please make sure that you keep it to yourself. Seriously. 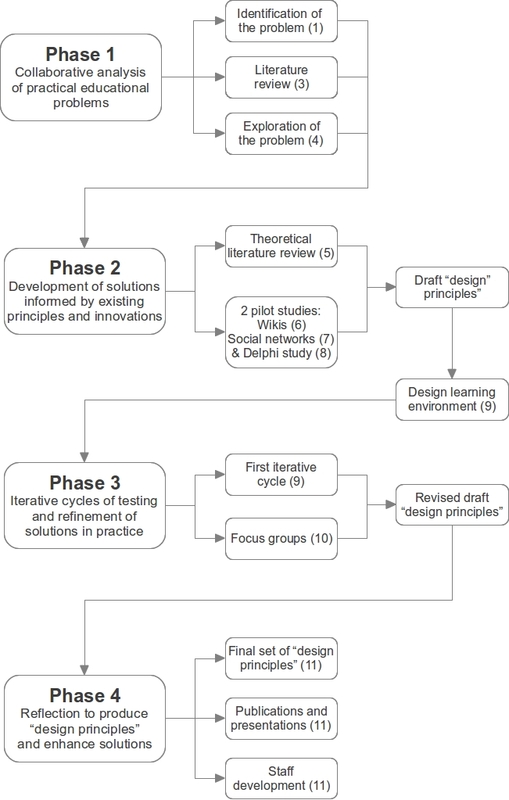 Note: the major phases of the project are on the left, key aspects of each phase in the middle, and outcomes of the phase that lead to the next one on the right. Numbers in brackets highlight the chapter in which the item is described. All chapters except 1, 9 & 11 are written as articles for publication.